SKU: SKU 140. 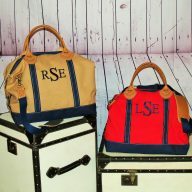 Categories: Bags, Carolina Monogram, Clutches and Purses, Designer Inspired Purses, Designer Inspired Purses. 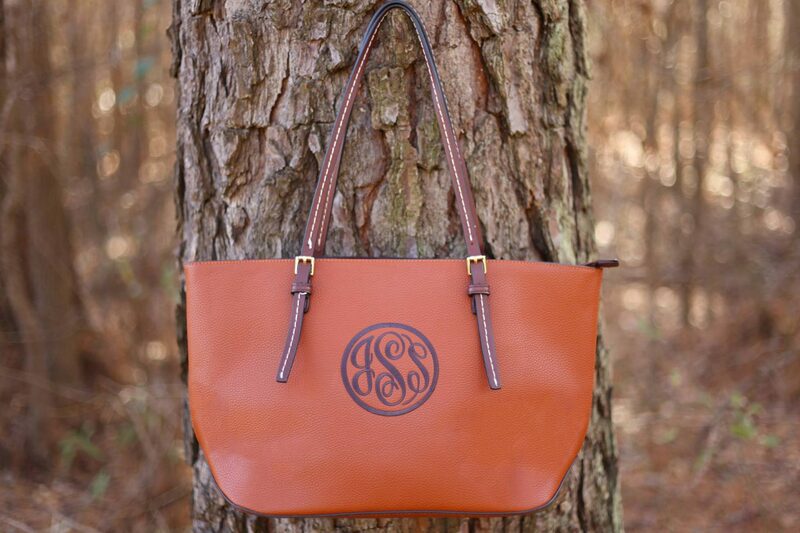 The Caroline monogrammed purse in tawny will always be a show stopper! This is spacious enough to hold your iPad, wallet and everything else you need to get through the day. It looks great with business or casual wear. It also makes a wonderful birthday gift for a best friend. The dark brownish color will coordinate so nicely with your wardrobe this season everybody will want to know where to get one too! Do not worry! We will keep your secret! Pictured is our monogrammed Caroline in tawny featuring cloister brown thread. The cloister brown thread coordinates perfectly with the handles and edging of the purse! The font we have chosen here is Master Circle. Additionally, we have put a circle around the initials. 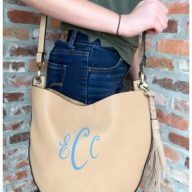 If you also would like a circle around the initials on your monogrammed purse, indicate this in the “comments” section on your order form. 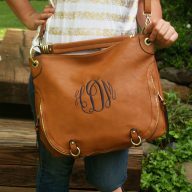 Once you place an order for your monogrammed purse from I Flew the Nest, we will usually ship within a week. If you have any questions, please feel free to call or email us at any time. We want to make sure you have an outstanding experience with us and are always here to answer any question you have. This bag has one zipped pocket on the inside accommodated with a second zipped pocket outside against the back of the bag. 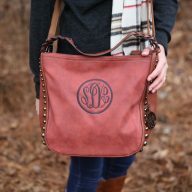 I love my new bag and the monogramming makes even that much better. 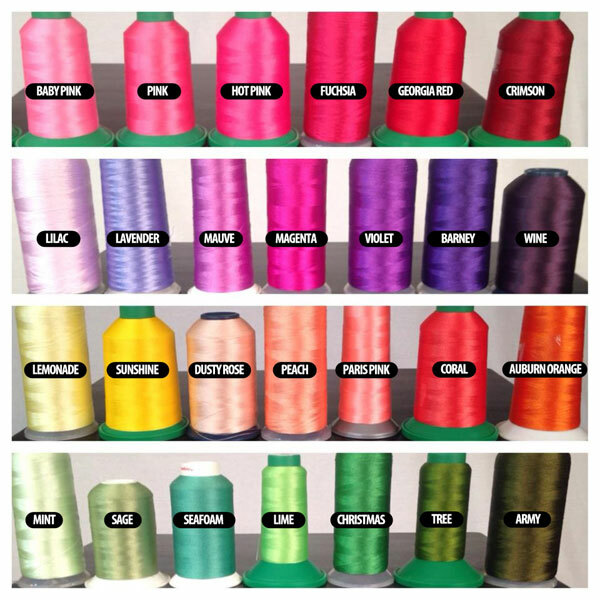 The product itself is of good quality and the right price. I will for sure let everyone know where I got it.